We are excited to announce that in cooperation with Plainfield Coop, we will be hosting a casual pumpkin carving event Friday, October 26th at the community center upstairs. We are planning to offer Jack-O’Lanterns for sale at the event, with tools provided and drinks courtesy of the Coop. Contact the coop to reserve a pumpkin! We do also have Jack-O’Lanterns and corn stalks available now if you are itching to get your fall decorations sooner. Bulk Update: With the days becoming cooler and cooler, you may be feeling ready to start stocking the root cellar for winter and we would like to help! We have gold and white potatoes available in bulk $1/# for all orders over 10lbs. If there is still some room in your freezer, the Kale has sufficiently sweetened after last week’s light frost and is also available at great bulk pricing. There are still a few cases of red and yellow pepper seconds coming in as well. Midsummer crops are coming into fruition, giving us a wider variety of fresh vegetables to enjoy. The Solanaceous crops (tomatoes, peppers, eggplants) have been doing quite well in this heat. Last week we combined some eggplant, tomato, summer squash, potato, basil, dill, and red wine to make a delicious ratatouille. Highly Recommend! The basil is coming into form and we are ready to begin taking bulk orders. we are offering 3# boxes, for $16. We also have #20 (6-8 heads) cases of cabbage available if you are the saurkrauting or kimchi-ing type for $20. We will offer these on a “first come first served” basis. Please contact us at (802)881-3240 or at waterbearwellness@gmail.com to order. We will contact you early in the week to let you know it’s available and bring it to the Plainfield Farmers Market on Friday for pick up. What a sigh of relief we let out when the rain began to fall Monday. The irrigation system and I are certainly appreciating the rest. It is amazing how many hours of work mother nature can save us with a generous storm, and do a more thorough job as well. Woes of irrigation aside, this warm and sunny June has given the plants terrific energy for growth and we find ourselves plunging into the summer harvest season. The Plainfield Coop continues to offer a growing selection of our produce and the Plainfield Farmers Market has begun! 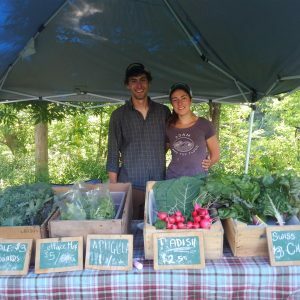 We will be on the church lawn every Friday from 4-7 with a full selection of our vegetables, picked that afternoon, as well as flower, herb, and vegetable seedlings. Check out the Market Facebook Page for announcements and information on other vendors, entertainment and services you can find there and then come see for yourself! 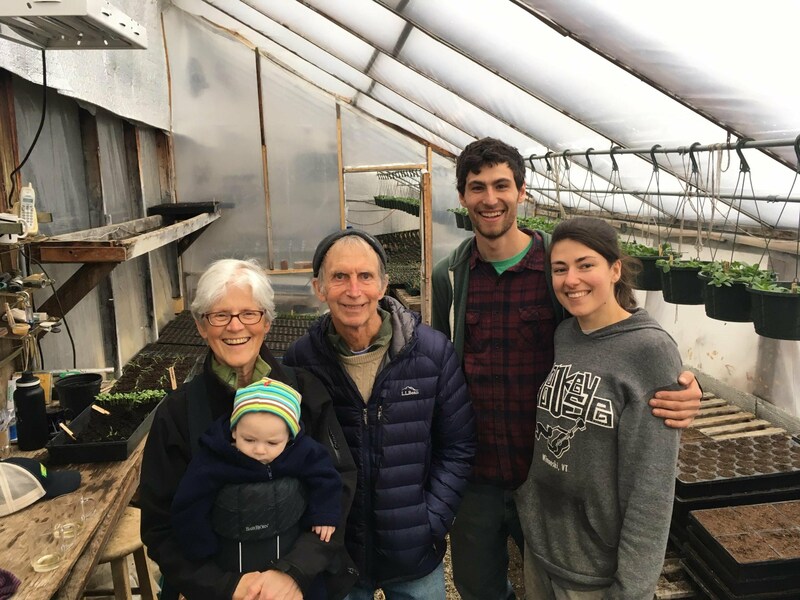 First, We’d like to say THANK YOU for everyone who has come out to visit the plant sale and offered your support by patronage or kind words of welcome and encouragement. We are beyond grateful to be a part of this community. Second, I apologize for not replying to some of the comments on here, I hope any of you who had questions had them answered in some way. We will make an effort to keep a close eye on the website. but if you do not hear back you can email at kagendewey@gmail.com and we will surely receive it. Third, This weekend will be the last weekend of regular plant sale hours. 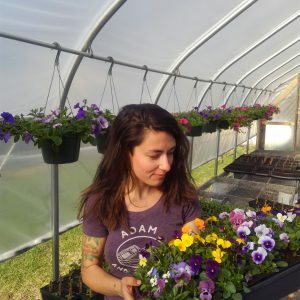 You are welcome to still come by but after Monday (6/11) we will begin planting out what we have leftover and our selection will be more limited. Tomatoes in pots and 4 packs are now buy 2 get 1 free. Stay tuned for an announcement about the Plainfield Farmers Market. With June just around the bend and a a favorable extended forecast everything suddenly seems eager to be transplanted. May is flying by! We are ready to say goodbye to the early spinach in our greenhouses (that we hope you have enjoyed) to make way for the cherry tomatoes! Spinach will continue to be available at Plainfield Community Coop now alongside fresh radishes and lettuce mix. Hunger Mountain will be carrying Littlewood Rhubarb. If you’re thinking about your garden this weekend, now is a great time to swing by the plant sale. 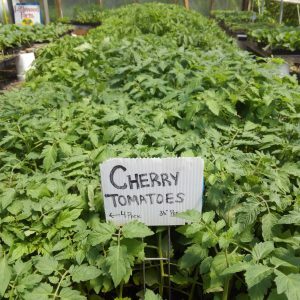 We have a wide variety of tomatoes, flowers, brassicas, and much more ready to go in the ground and while the rain showers may put a downer on our weekend, the plants will love getting settled in during some moist, cool weather. We will be continuing the plant sale, 9-2 Saturday, Sunday, and this Monday for Memorial Day. Thank you to everyone who has come to the farm so far this season. Its been great fun meeting so many dedicated Littlewood Lovers and were excited to hear how your gardens go this summer. Is it safe to say Spring has finally arrived? It certainly feels so and with these warm, lengthening days it is time to put the earliest crops out. 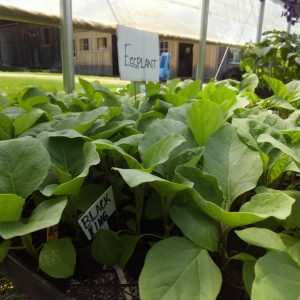 Our plant sale opens this Saturday, May 12 and we have plenty of items to get your garden started. 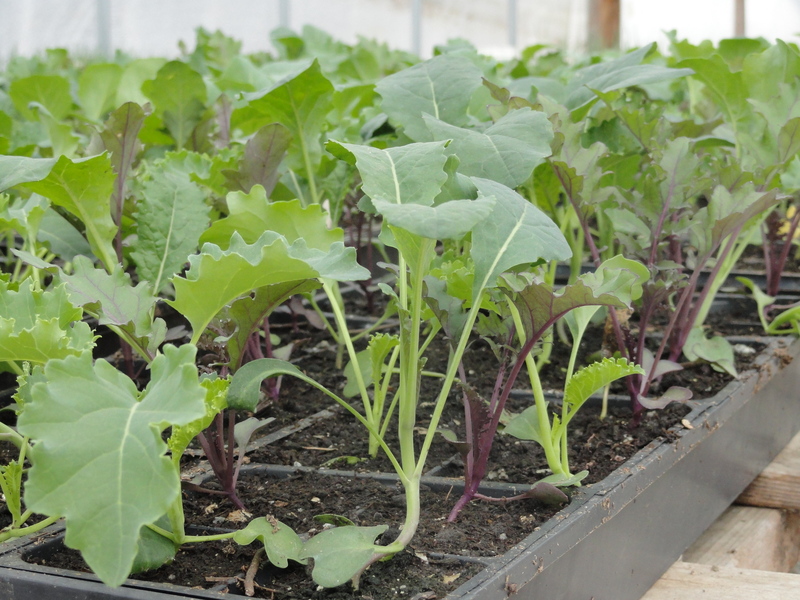 Mid-May is a great time for onions, brassicas, greens and peas to be transplanted out. 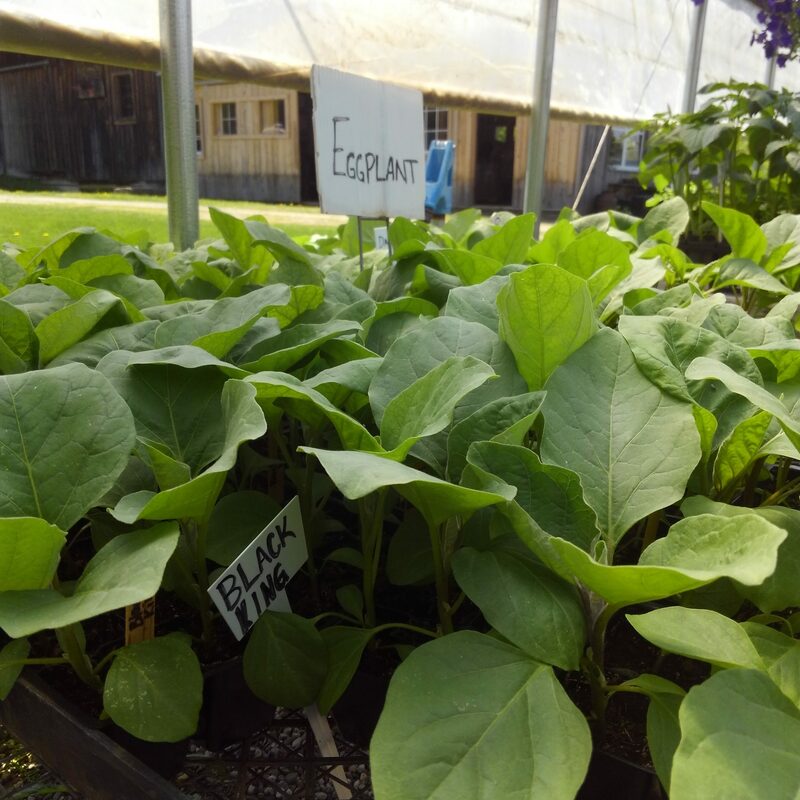 Tomatoes, eggplants and peppers can join them in Late-May, and the cucurbit family (squash, melons, etc.) can safely be planted out in June. Information on varieties and availability can be found here. 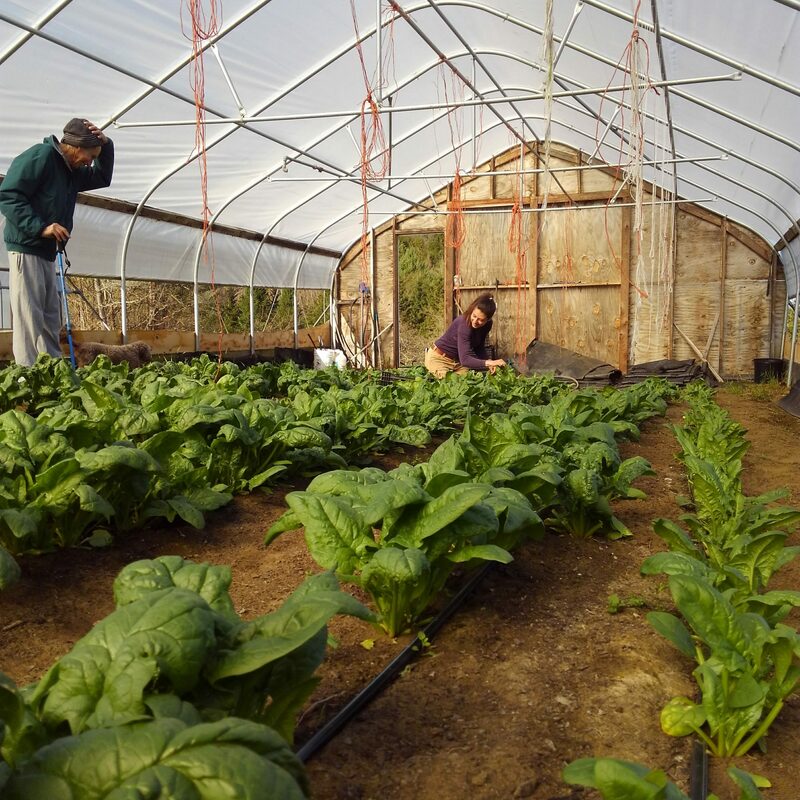 In our hoop-houses spinach has been embracing the sunshine and we hope you have had the chance to get a taste. The cool early season nights push the plants to create more sugars. This helps them tolerate a frost, but also makes for some of the best tasting leafy greens you’ll find all season. Our spinach is currently available at Red Hen Bakery, Hunger Mountain Coop, and of course our very own Plainfield Community Coop. As we put our first few months at Littlewood in the books, we’re grateful for the support this community shows for local, organic produce. 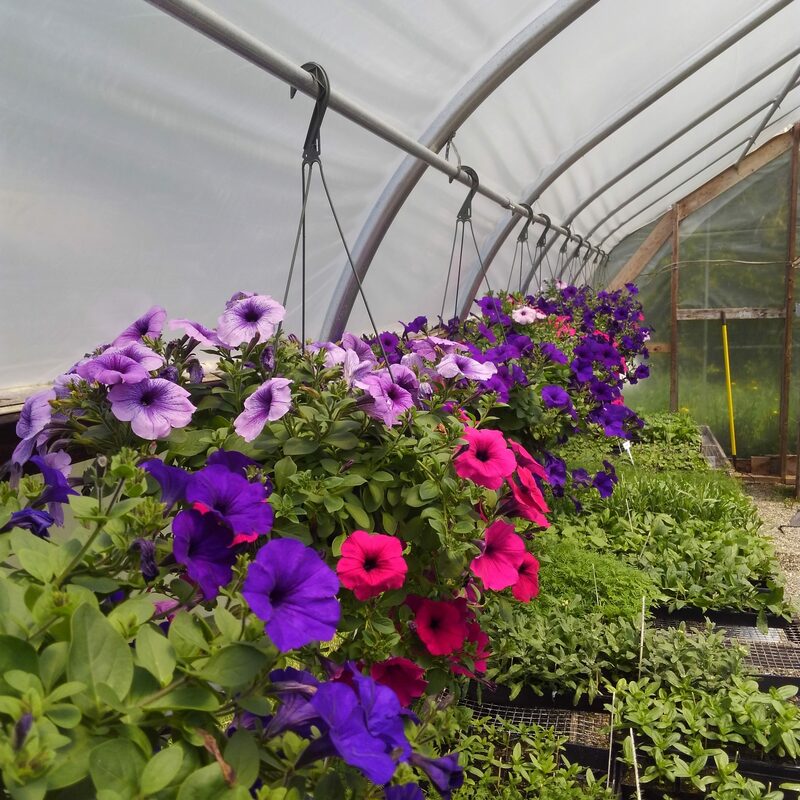 We’ll be opening the greenhouse for seedling sales on Saturdays and Sundays from 9-2 and weekdays 4-6 – See you there! weekdays 4-6 (other times “by chance or appointment”). We truly hope you will stop by for your garden needs or just to introduce yourself to your new neighborhood farmers. We have reached that time of year again when our farming efforts are focused on growing for local wholesale distribution. 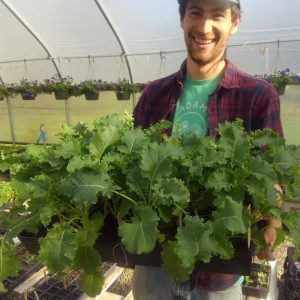 We have started picking and shipping green kale, red Russian kale, purple kale, collards, and rainbow Swiss chard. We hope you will enjoy the great taste and health benefits of these leafy greens. 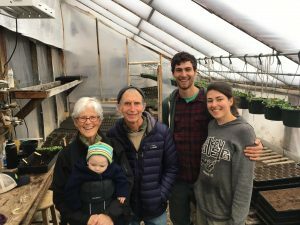 Our Greenhouse Plant Sale is over. Thanks to all who found their way here and bought our plants. 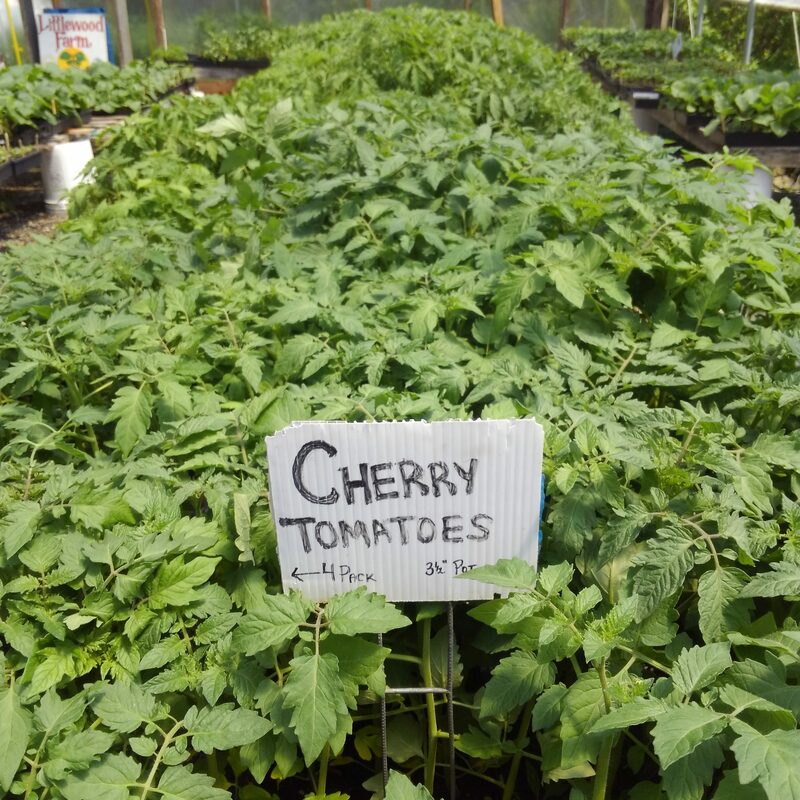 All our plants are grown in Vermont Compost Company potting soil, which has yielded terrific results once again. Thanks are due to Karl Hammer and his his crew for such a reliable product. We no longer grow strawberries for Pick-Your-Own. I am growing some for my own freezer, and if I have any extra will sell them through the Plainfield Coop. Dog River Farm, south of Montpelier on Rt. 12, is the nearest PYO operation. 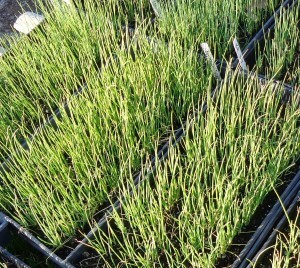 We have grown a very nice set of seedlings for this year’s sale. Seedlings are sized to transplant well at the appropriate time. 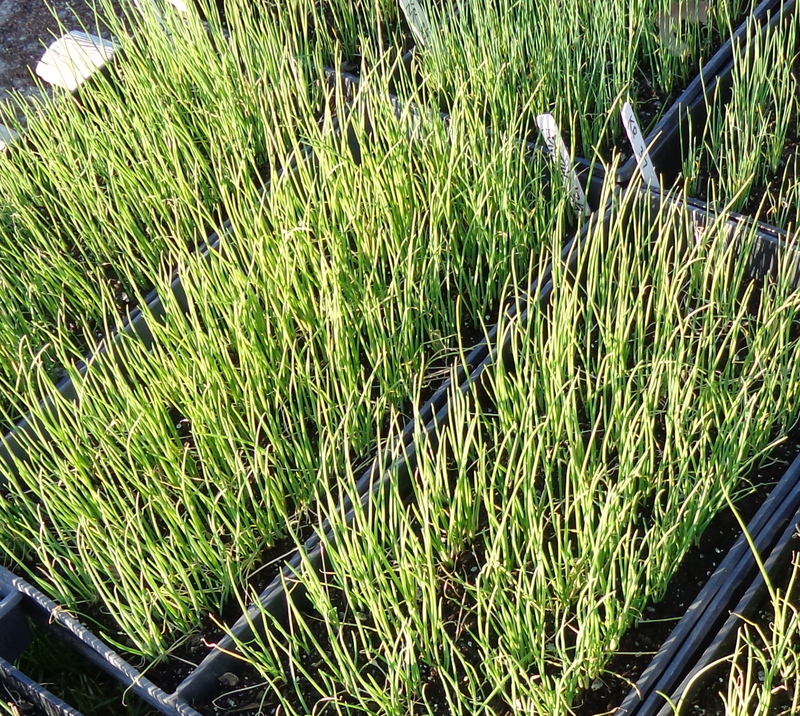 A seedling unchecked in its growth curve gives the best best results, and as does setting the seedling out into the best conditions for that plant type. Onions, leeks, lettuce, chard, and cabbage family can go out earliest. 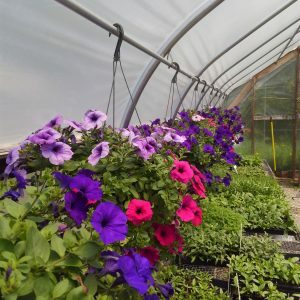 Heat loving plants have to wait for the end of May, when the soil warms to 60 degrees . Tomatoes, corn, cukes and squash go out the third week. Peppers and melons do best to wait for the first week of June. So stop by the greenhouse sale. We are open weekends 9 to 2, weekdays 4 to 6 pm. Other times by chance or appointment. Bring a friend, but please leave your dog at home. We are located at the end of Recreation Field Road in Plainfield. 802-454-8466.